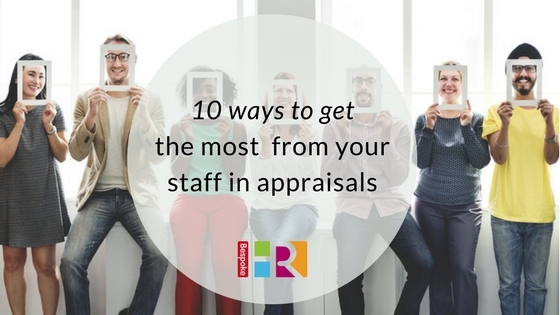 Just the mention of the word “appraisal” can fill managers and staff alike with dread. Once likened to “root canal dental work on our list of things we look forward to” by a Harvard Business School Professor, it seems appraisals are universally unpopular. To compound that, in a 2014 CIPD survey of more than 2,500 employees, 30% said they felt their employer’s appraisal system was unfair. A similar proportion said they felt progression within their organisation was unachievable, and one in five felt their managers failed to explain objectives and expectations effectively. Whilst this makes for depressing reading, the good news is it doesn’t have to be this way. There are steps you can take to make sure that appraisals are not just a waste of time, and actually help drive your business forward. Make sure it’s performance that is being measured, not personality. Be clear on your employee’s objectives, have they met these? Their behaviour or demeanour shouldn’t be linked with their ability to do the job. Be prepared (both appraisee and appraiser). Get employees to consider what they want to discuss before the meeting, including thinking about their ambitions. Ask them to think about how they can shape the conversation. It needs to be a two-way conversation with ample opportunities for feedback and discussion. Structure the meeting clearly. The aim being to prevent the meeting running over time or veering off-piste. This will also make it clearer for both of you to consider what you want to get out of it. Let your employee talk. This is their chance to tell you how they feel about their work, what they enjoy, and if they have any issues or frustrations. Stress that their views are important, and that this is a confidential environment for them to discuss anything. Listen. Equally as important. Don’t be tempted to dominate the conversation, this may be their only opportunity to discuss important issues with you. Recognise and reward achievement. As much as an appraisal may be about goal setting and identifying issues, it’s just as important to highlight staff successes and make them feel valuable. Follow up. Make sure you set out clear and manageable steps from the meeting and keep track of them so that you can support and encourage your team to fulfil them. Give regular feedback throughout the year. Don’t save up all your feedback for the one staff appraisal meeting, or this will lead to the root canal scenario where both parties are filled with dread. Maintain a constant dialogue with your team throughout the year. Discuss and create objectives together. The best way to ensure you get the most from your employees is to set the goals together. This way your team are motivated as they know their goals are realistic, achievable and have been developed in union. Create the right atmosphere. Think about your company culture. Would it be in keeping with your business if you conducted appraisals over lunch or in a more informal setting? Make sure that it’s private enough for your staff to be able to raise confidential issues, but that the atmosphere is not intimidating or unfamiliar. If you would like more information or advice on appraisals, please contact the team.